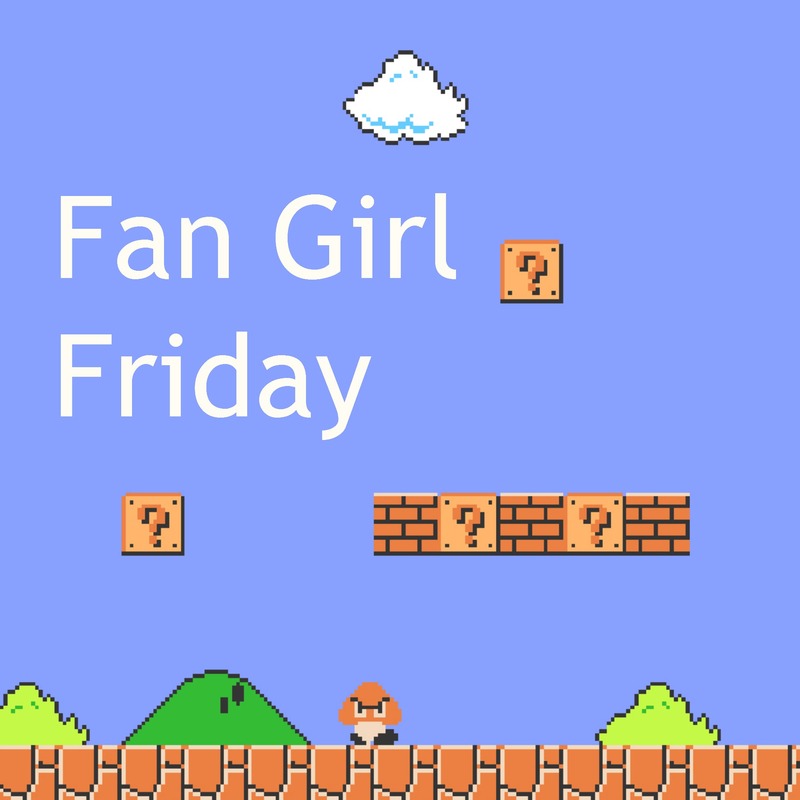 TGIFGF—Thank Goodness Its Fan Girl Friday! 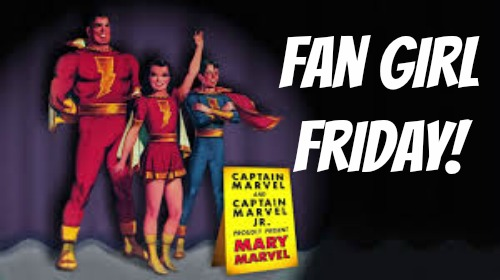 After the week I’ve had, I need some dorky delights to cheer me up (and I bet you do too)! Now that the sun’s out (and guns out—ha!) 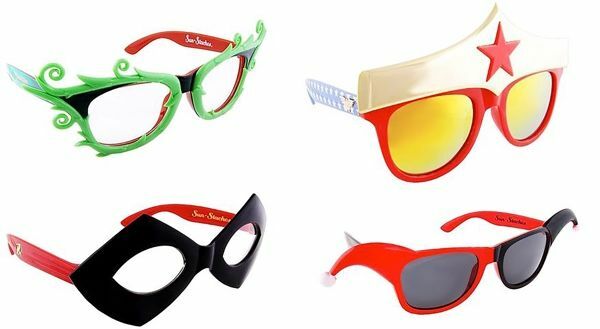 I need these DC siren’s shades to keep me cool (in more ways than one)! Seriously, how kick-a are these glasses? 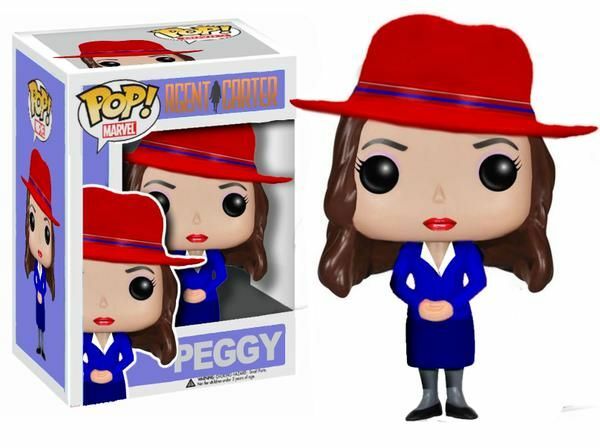 I need, NEED the Harley Quinn ones! My favorite car of all time is a VW bus. I told Huff the Hubs that when we win the lottery (which we never play) that I want to have a bus restored as our “family car”. 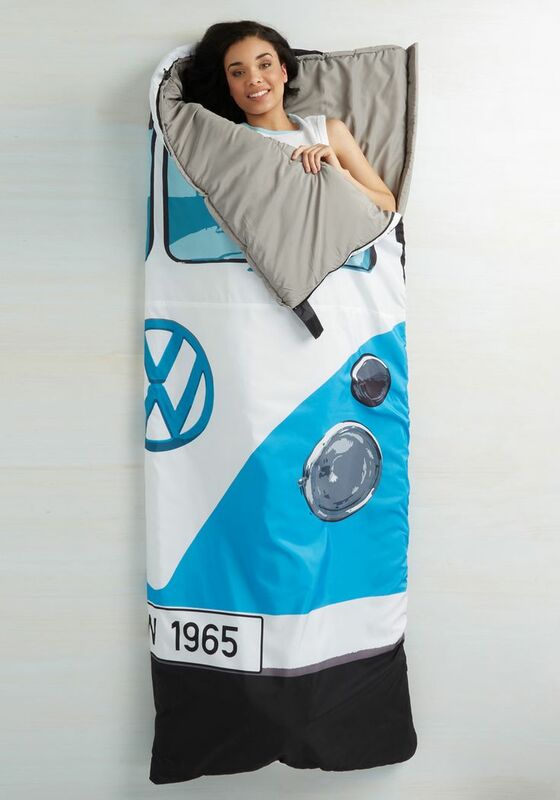 Until then, I’ll settle for this super cute sleeping bag from Modcloth! 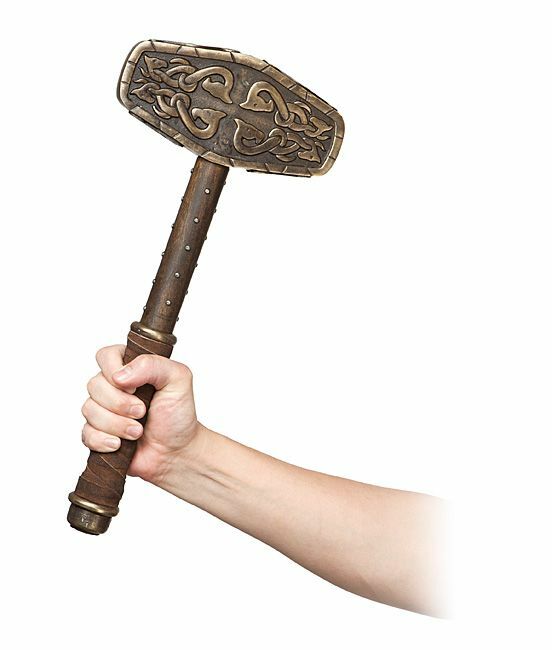 We all know that there are only a few folks worthy of holding Thor’s hammer, Mjolnir. One’s the golden-locked god himself, Cap, and Jarvis’ alter ego. But now, thanks to Think Geek, YOU are worthy! 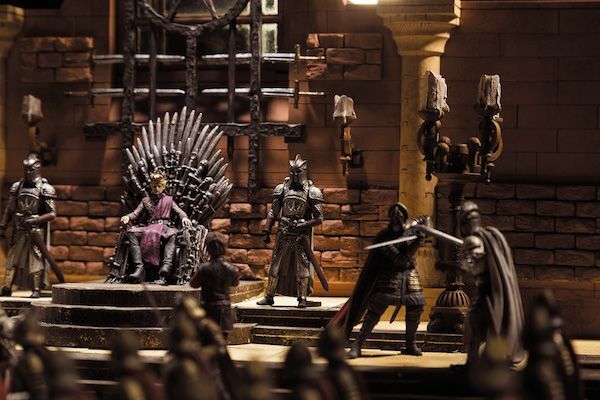 Its handcrafted and comes with a wall mount to display with honor in your living room! How awesome would this bad boy look attached to your wall?! Now that summer’s here, everyone’s looking for ways to keep their drinks cold. Thanks to Perpetual Kid, you can keep it cold…and logical. 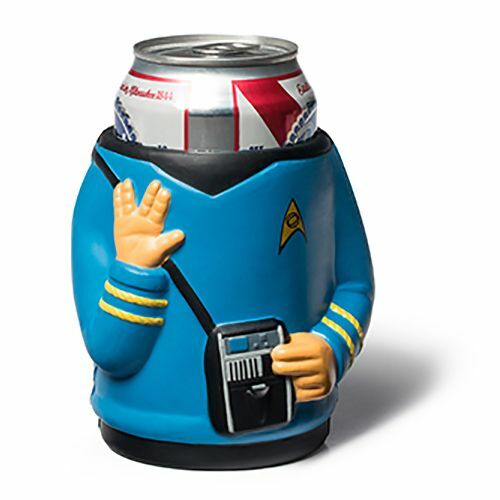 Relax on the back porch and gaze out into galaxies yet to be explored with these awesome drink koozee! 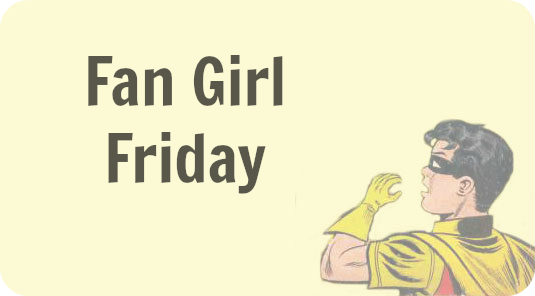 Hey fangirls and boys, I’m back with another round-up of geeky goodies! 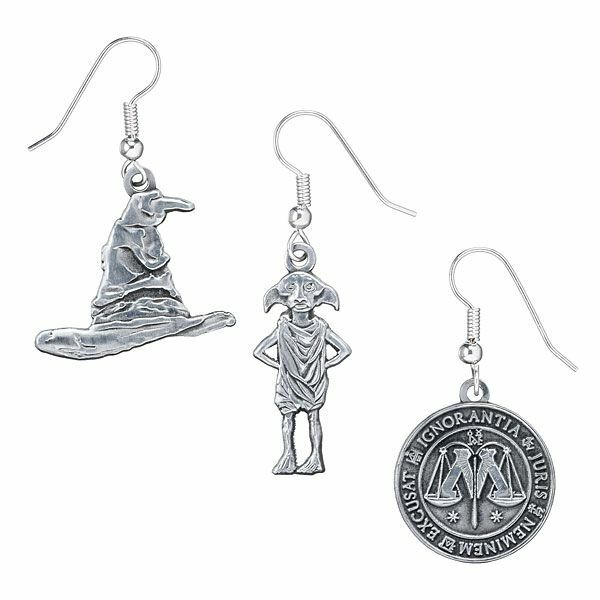 Mother’s Day is next Sunday, and I’ve found some gifts for the nerd-mama in your life! Let’s get to it, shall we? I love purses. I’m kind of like Jessica Day in that sense. If you’ve got a mom that loves to accessorize and show off her nerdy side, then look no further than Etsy shop, Geeky Girl Glitter! How cute is that Batman purse? She also has a Vinyl Pop inspired Harley Quinn bag and other DC heroes/villains-themed goodies! Go check her out! 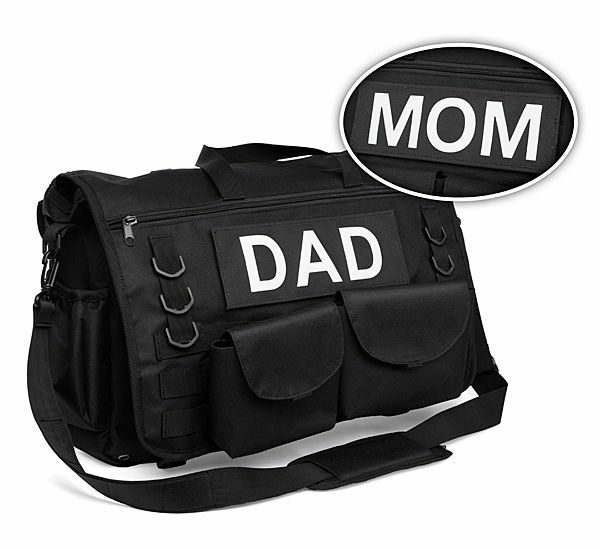 It’s a tactical diaper bag! Exclusively from Think Geek, this bag has two removable pouches, 16 pockets (with zippers), AND Velcro name patches! 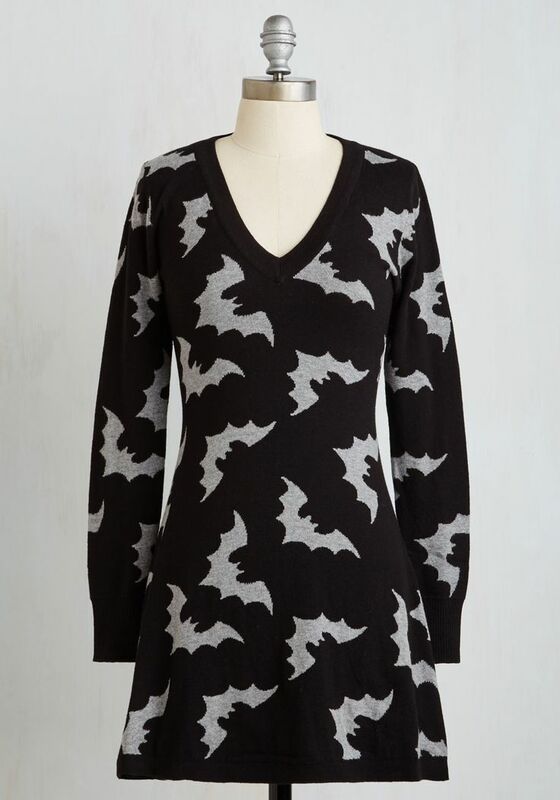 Plus, it goes with everything with its simple black style! Got a techy mom who also likes to stay fabulous? 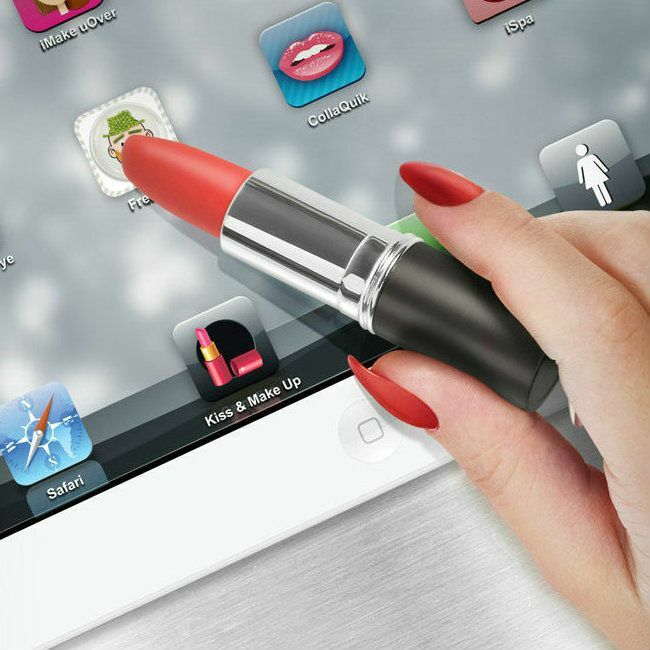 Check out this iGlam lipstick stylus from Perpetual Kid! Now she can access apps easier—like Facebook to post embarrassing photos of you! If your mom is more of a wine connoisseur, keep her looking tidy with these! 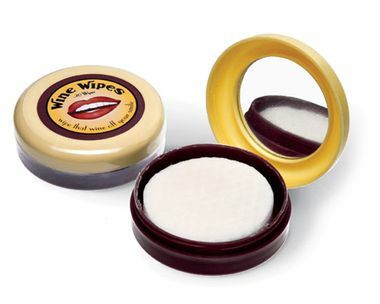 Their Wine Wipes! They keep Mom’s lips, teeth, and tongue clear of red wine stains so she can have more than one glass and no one will know! Plus, you can pair it with one of these fantastic glasses! 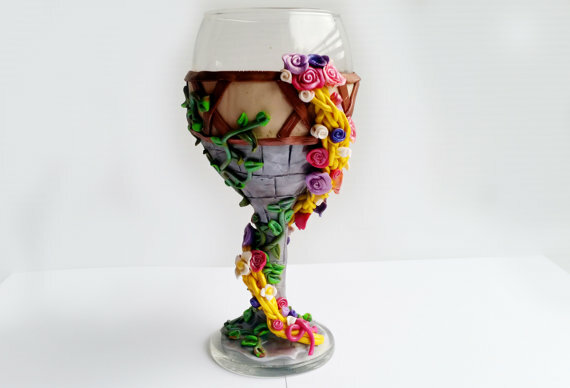 Etsy shop owner Kelly Arce Designs has a collection of Disney-themed wine glasses! 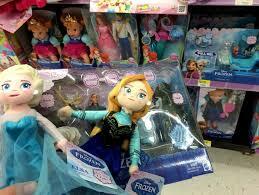 I LOVE the Rapunzel one and the Cruella de Ville one! She also has a Harry Potter-inspired goblet! Here at the Huffman House, we love all things geeky: Star Wars, Star Trek, Doctor Who, Settlers of Catan….you name it, we love it. 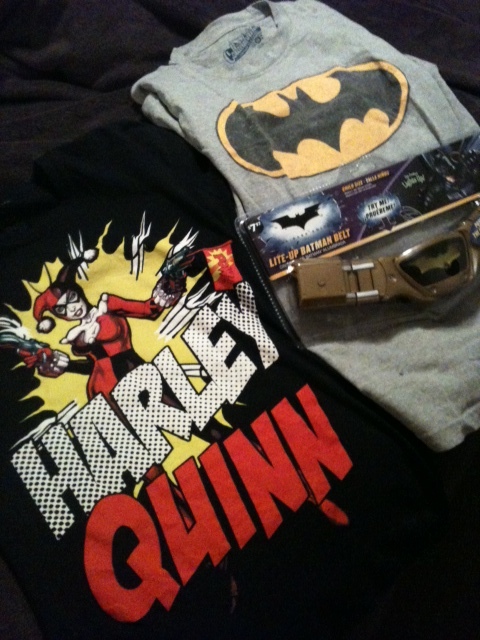 Also, Huff the Hubs is a HUGE Batman fan, which has made me a Batman fanatic as well. 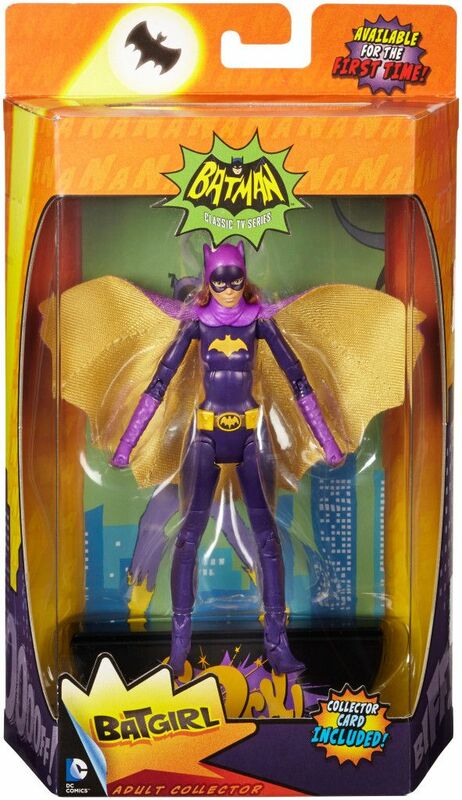 I mean, I’ve always liked Batman as much as the next girl; I even watched the animated series as a kid. But ever since he introduced me to Arkham Asylum and Arkham City, I can’t get enough of the Batman universe. And it’s not just the caped crusader that I love. 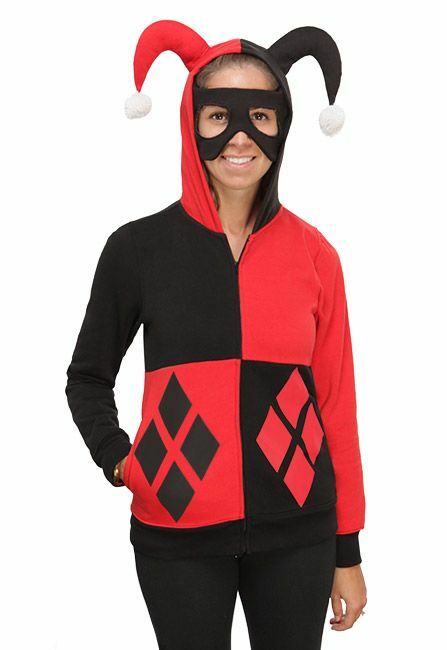 I even have some affection for the baddies; mostly Harley Quinn. She’s the hopelessly devoted girlfriend of The Joker with the straight-from-the-1950’s Jersey accent. SHE. IS. AWESOME. So when I heard of an all-new stage production called Batman Live, I was a little conflicted. Yeah, it’d be cool to see, but won’t think basically be like Sesame Street Live only with Batman? 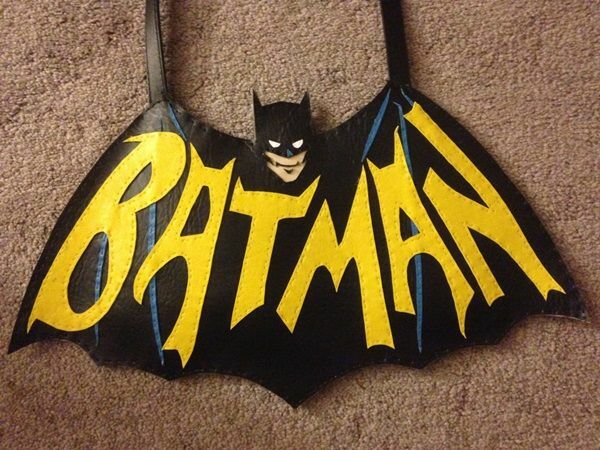 I assumed it’d be something my super hero loving nephew would like, but probably not Huff the Hubs. Then, we saw the preview. I showed the hubs and said: “We HAVE to go to this!” So, we looked at the days and times (and chose the showing we assumed there wouldn’t be as many children) and today’s the day! We’ve been waiting for this since the middle of the summer and I feel like a little kid about to go to the circus! 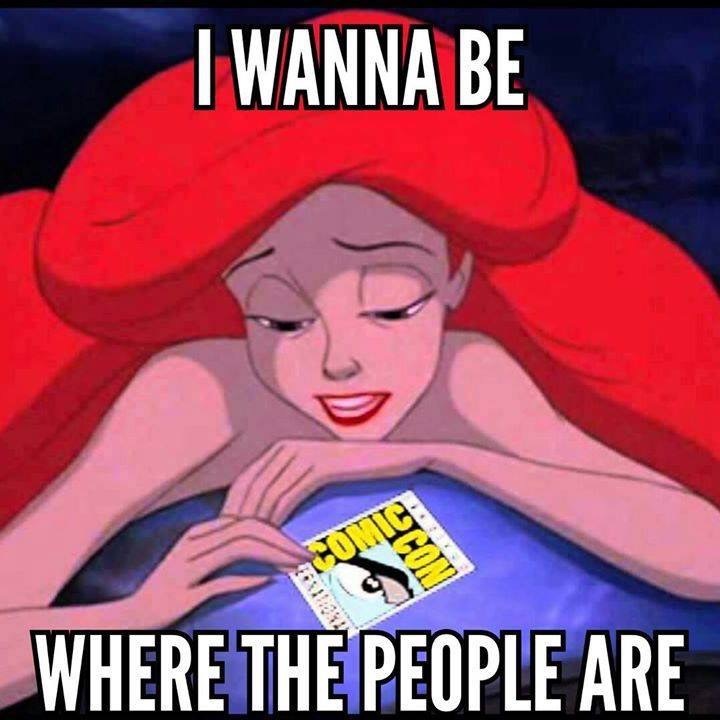 Seeing as how this is as close to a con as we’ll get, since San Diego is so far and there aren’t any on the horizon here in Oklahoma, I’ve been a ball of anxious fangirl energy all week. It’s really all I can think about (well, that and Vampire Diaries. 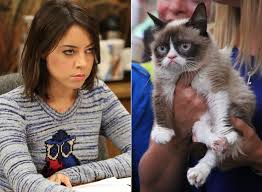 Did you watch last night?!). I’ve even laid out our outfits for tonight. I really, really hope Huff the Hubs wears that utility belt. I bought the Bat belt last year on the day after Halloween. Hubs’ is still in the package, but my nephew LOVES his! I’ll be sure to update the post later and let everyone know if it was cheesy or mind-blowing. In the meantime, hold on to your capes. The Dark Knight is about to take the stage! Update: The show was AMAZING! There were a few parts that were a little cheesy, but for the most part, it was awesome! The guy who played The Joker was spot on with his voice! Harley Quinn too! She was really the star of the show (of course, I’m a little bias). If you have a chance to see it, DO IT.